Join Park Naturalists to learn a variety of tackle and fresh bait rigs, find out the best places to drop a line, and learn about the rules and regulations that pertain to game fishing in Southwest Florida. Due to limited space, reservations are required. Call 239-463-4588. Southwest Florida offers a variety of outdoor activities. Kayaking the area provides a first- hand vantage point of the unmatched beauty of our aquatic ecosystems. 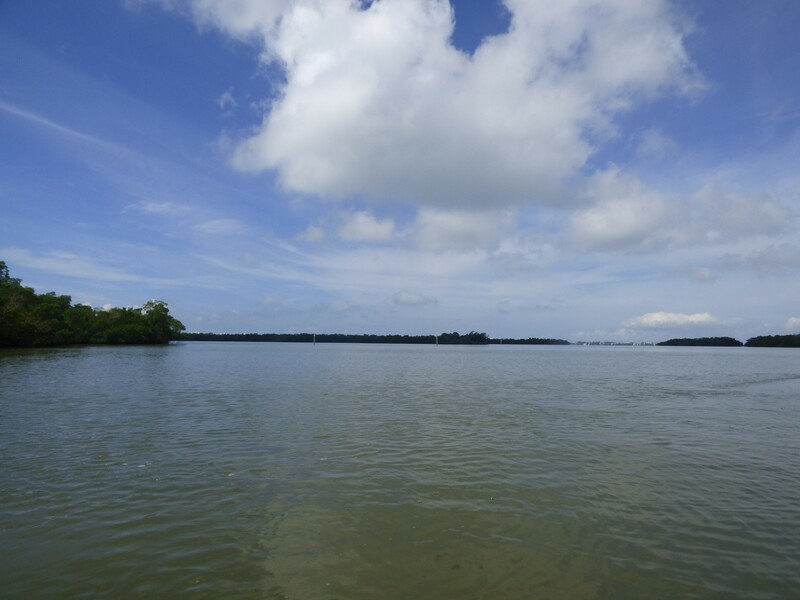 There are such diverse paddles available ranging from pristine beaches, mangrove swamps, freshwater rivers and creeks, the adventures seem endless. Not only does kayaking provide a direct connection with nature it is an effective, low impact workout that is excellent for your core and upper body. I would like to highlight a beautiful short day paddle that only takes half a day. 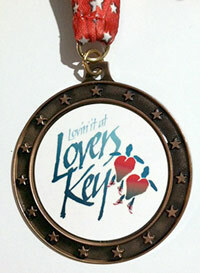 Lovers Key to Mound Key Archaeological State Park in Estero Bay is just under a 5 mile round trip paddle. The launch for this trip begins at Carl E. Johnson boat ramp directly across from Lovers Key State Park. The bay is very scenic with numerous opportunities for viewing birds and other wildlife like manatee and dolphin. By paddling the suggested route two unique views of the islands of the bay can be experienced. The halfway point of the trip is Mound Key. Believed to be the capital of the Calusa Indians, the island’s shell mounds reach heights of 30 feet. The self-guided hiking trail starts at the northwest and southeast sides of the island under canopies of cabbage palms and gumbo limbo trees. The top of the mound provides a scenic view of the bay. This provides an excellent opportunity to stretch your legs before the return trip. extensive knowledge of Florida's ecosystems. Come run and try to win one of these beautiful medals! Don’t miss the 8th Annual Turtle Trot Race coming up on May 11th, 2013. 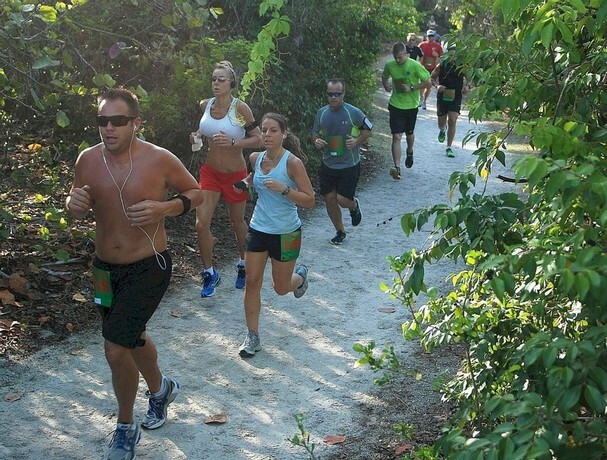 Everyone is invited…..runners, joggers, and walkers alike can join the fun and experience the beauty of Lovers Key State Park. Participants will trek over a path along Black Island Trail, run up a 38-foot hill and cross two bridges as they race toward the finish line at the beach. Breakfast is supplied by the race’s Signature Sponsor, Whole Foods, and awards are presented at the Lovers Key pavilion at the end of the race. So come, have fun and support a great cause. Register on-line by going to the following link or stop by the park and pick up a paper registration form. Before May 3rd registration fee is $25 for adults and $15 for youth (18 and under). Week before the race $30 for all levels and day of race is $35 for all levels….register early and save!!! For more information write events@friendsofloverskey.org or call 239-463-4588. Need a place to stay that weekend? Check out Cocoplum Beach House. Whale Sharks Spotted Near Fort Myers Beach … Again! Twice in the past few months, divers visiting the Mohawk Veterans Memorial Artificial Reef near Fort Myers Beach have gotten a big treat. There have been two separate sightings of the world’s largest fish, the whale shark, at the USS Mohawk, mostly recently this weekend. Click here to see video taken on Saturday of this magnificent creature. Although rare in this part of the world, marine biologists believe the sightings are of two different fish. Sept. 1 is a license-free saltwater fishing day in Florida. This year, it not only falls on a holiday weekend, but is during the popular spiny lobster and bay scallop seasons. Florida is known as the “Fishing Capital of the World” due to its abundant resources, combined with responsible freshwater and saltwater fish management. 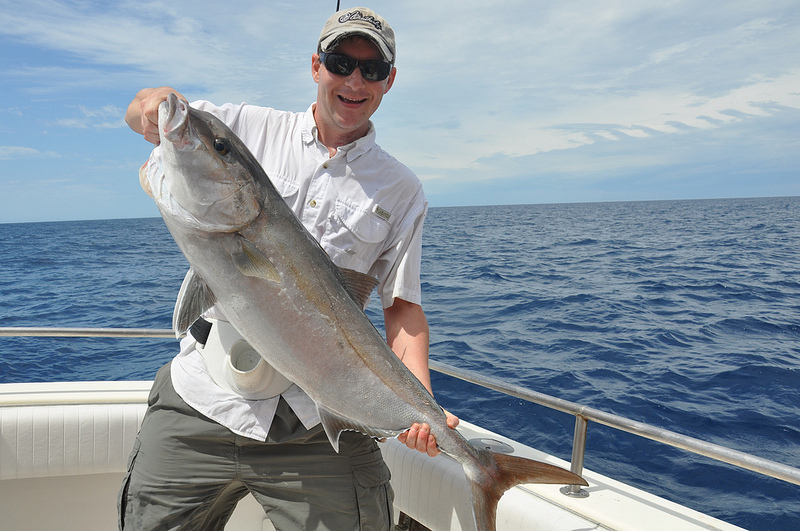 Florida residents and visitors can experience the joy of saltwater fishing and many will discover a healthy sport they can enjoy for a lifetime. Don’t miss this opportunity to to share the fun, excitement and togetherness of a fishing trip with the entire family or introduce friends to the sport, even if they don’t have a fishing license. Sanibel Causeway – Head North on San Carlos Blvd off the North end of Fort Myers Beach, and turn left onto Summerlin Road, following the signs to Sanibel. Once passed the toll booth ($6 toll, but covers in and out) there are a number of places to stop on the causeway islands. One of the islands also includes restroom facilities. Punta Rassa area – Just before the Sanibel Causeway toll booth there is an exit on the right to Punta Rassa. If you take this exit there is a boat launch area where you can park, and go fishing under the causeway bridge. Also on the south side of the road when you are heading back from Punta Rassa, just after the toll booth there is a wide shoulder where people park to go fishing on the south side of the road. This is also a popular spot for camping and kite boarding. Pier on Fort Myers Beach – The pier in downtown Fort Myers Beach is usually a very popular spot for fishing. Head to Times Square and walk out the pier to the end. There is a small convenience store located on the pier. South End Bridge – If you follow Estero Blvd all the way south as you are about to leave the island, you will most likely see people standing on the bridge fishing over the side. This spot almost always has people fishing from it. Lovers Key State Park – Just drive a bit further south from the South End Bridge and you’ll be on Lovers Key. There are plenty of spots to park for free, including near the boat ramp and you can wade in to the bay side very easily. There is a sign about alligators at Lovers Key, so keep that in mind. Beach Spots – Almost any spot on the beach will do. You’ll no doubt want to stay away from a crowd of people in the water as they can spook the fish and get in your way, so near the downtown area is usually not the best spot. 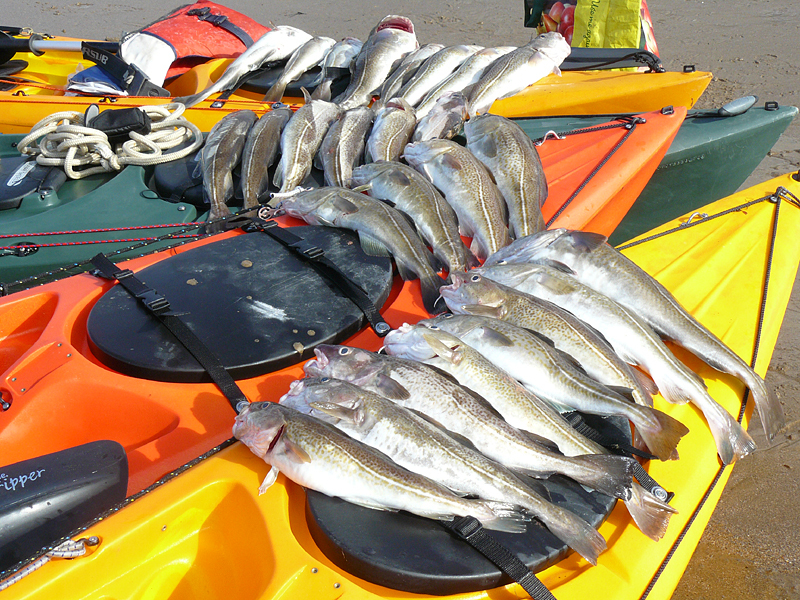 It seems that between the beach and the sandbars that exist in a number of spots along the beach are popular, due to increased fish activity. Mid-island, near Cocoplum Beach House, is usually a very quiet stretch of beach. All other bag limit, season and size restrictions apply on these dates. To make your fishing day successful, check out MyFWC.com/Fishing for fishing tips, locations and rules.Visit MyFWC.com and click on “Calendar” to learn more about boating-safety events during National Fishing and Boating Week and year-round. Get ready to welcome Fall with the most exciting paddling festival in the country. This year’s Calusa Blueway Paddling Festival dates are November 1st to the 4th. An annual event since 2006, the popular paddling festival has offered races, seminars, guided trips, a fishing tournament, demonstrations, a photo contest, and social events to kayakers. 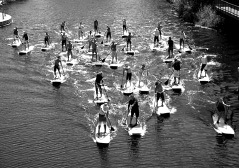 This year’s festival will include stand-up paddleboard (SUP) activities, on-water instruction, and a canoe and kayak film festival. Also, the festival will offer a race to commemorate the 125th anniversary of Lee County, Florida. 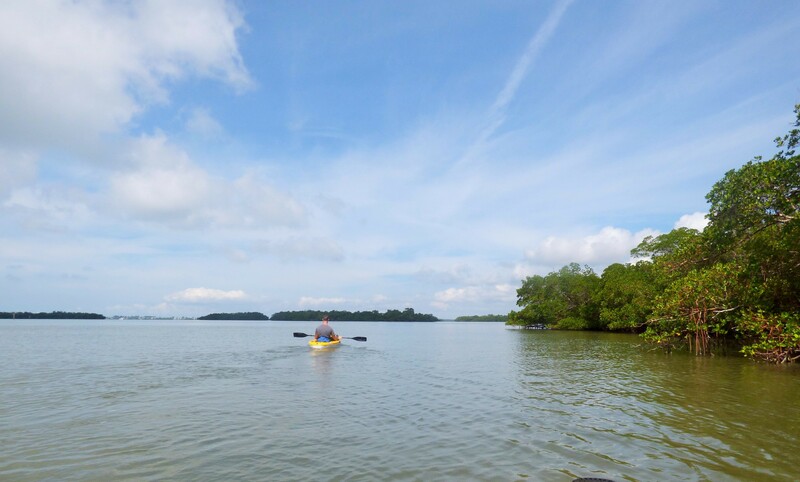 The festival serves to highlight the Calusa Blueway Paddling Trail, a 190-mile marked-and-meandering saltwater trail that spans the coast and inland rivers along the beaches of Fort Myers and Sanibel. 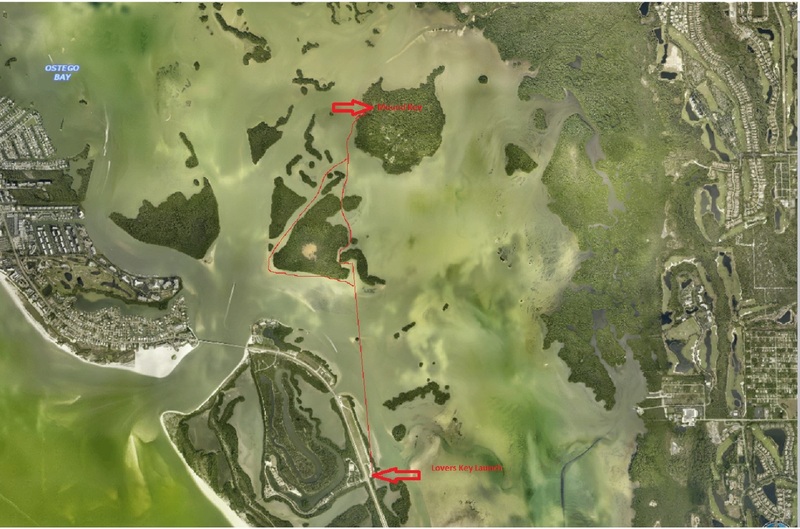 It includes saltwater mangrove trails and inland rivers that access the saltwater trails. The event was selected as a Top 20 Event for 2012 by the Southeast Tourism Society. The festival is coordinated by Lee County Parks & Recreation, which reported attendance for the 2011 festival from 20 states, Canada and Great Britain. Festival details are available at www.CalusaBluewayPaddlingFestival.com and also on Facebook and Twitter. For trail information, visit www.CalusaBlueway.com.